April might signify the unofficial start of spring, but it also kick-starts another important annual tradition—spring cleaning! While most people use the opportunity to get organized, it’s also an ideal time to address pest issues that might be lurking around your property. 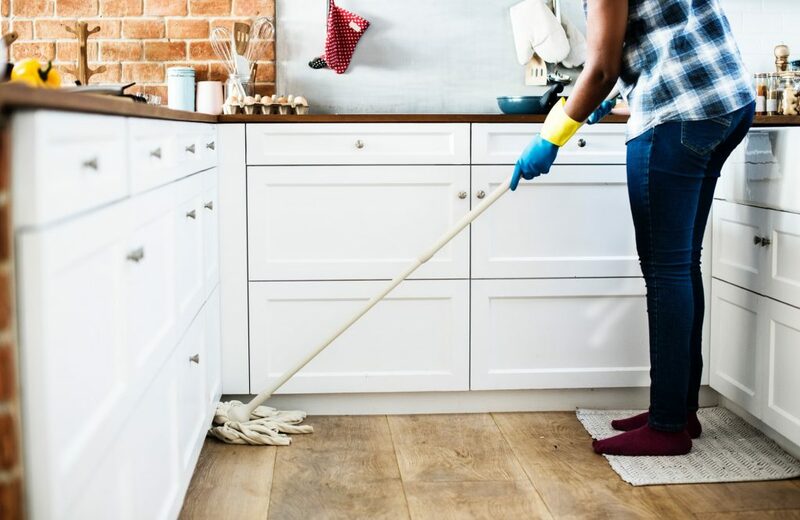 Varmints have the potential to wreak havoc on your home and an infestation can have serious consequences, but knowing the pest prevention strategies to employ can make spring cleaning a breath of fresh air! The National Pest Management Association advises that pest-proofing practices should become a part of your annual spring cleaning routine. You can keep common household critters at bay by adding a few simple steps to your household checklist. Start with the exterior: A small crack in the foundation, a hole in the eaves, or a crevice in a crawl space can all invite an unsuspecting infestation. Seal openings with the appropriate material and conduct routine maintenance on windows and doors. Basically, anything that connects your home to the outside can be a problem spot for critters to enter. Be aware: Did you know that your eyes are your best defense when it comes to eliminating potential pest problems? Just looking for warning signs and problem areas, and addressing them quickly, decreases your chances of an infestation. Store firewood 20 feet away from the house, or you might have built a free home for ants and termites. Overgrown trees and shrubs need to be properly maintained to avoid them becoming a bridge for animals to enter the home. Even a child’s tire swing or a decorative bird bath can become a breeding ground for mosquitoes if water is allowed to pool. Clean up the mess: Your mother doesn’t live here, so clean up after yourself! Pests love a good mess, so keeping your home clean is one of the best ways to prevent an infestation. Vacuum at least once a week and pay particular attention to the kitchen. Properly sealing trash bags, wiping down counters and floors to rid them of crumbs and cleaning up any water spills from the dog’s water bowl can prevent stagnant water from forming or bugs lining up for their next meal. Even when the best prevention strategies are deployed, infestations can still happen. Our expert staff will determine the right method for pest elimination and work with you to ensure your home is critter free—now and in the future. Give us a call today to learn more about our extermination services.